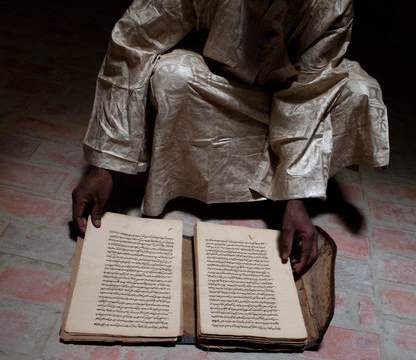 Did you see this amazing New York Times story of manuscripts and other Timbuktu artifacts being stored away for protection? (click here, but may be subscription-based) While the circumstances there are dramatically more dramatic than any development shop, I was moved by the care in handling these materials. And, at the risk of seeming glib, I thought this fit well in the spirit of National Constituent Record Filing Month. What files does your organization most treasure? Are they safe yet still accessible? Give it some thought. These are the sorts of piles that sometimes just get thrown out for expediency’s sake. …and thankfully, this is the shortest month of the year. All those who loathe filing (digital or paper), say “Aye!”. Newton had his law of gravity. Einstein devised E=MC2. My law (for this month anyhow) is that filing is universally reviled. Don’t get me wrong, Cannon’s Law of Reviled Filing doesn’t mean it’s unimportant. It doesn’t mean that some people and processes are really, really good at it. It just means that it’s the last on the list. And, while the post-election “binders” jokes have worn thin, I would bet most of you that you have somewhere in your office “binders full of prospect notes” and other “piles of shame” containing all those things you haven’t gotten around to filing. It’s the institution’s file. Those emails and paper files strewn about your desk. They belong to your employer. If not due to a confidentiality agreement, it’s just the right thing to do for your institution’s long-range relationship building. The risk of a blank is worse. Have you ever stumbled upon an empty file folder that clearly once held the holy grail of detail on that donor? You can see the folder is slightly bowed and once held important tidbits about a great uncle’s railroad lines in the 1890’s. Now, you have nothing. That’s what will happen with your prospects if you stop the filing cycle. There’s more nuance there than you think. Filing isn’t just about paper anymore, which is one nuance. But, even more subtle are the things that can be learned from a file. Did your organization’s previous president strike the “Dear William” on a letter and write-in a heretofore unknown “Bubba,” indicating a pretty close relationship that perhaps has gone dry. Did the donor’s $100 check come from the Bank of Saudi Arabia? Sometimes, the database doesn’t hold the whole story, so the files are that much more important. Automation and discipline will get you through the month (and beyond). If you enjoy filing as much as I do, you need to a) automate and b) get rigorous. Contact a vendor who can digitize and link files (or, if you have resources in place, do even more with your current application). Set a day a month where all filing will be completed. And, if automation is still out of the picture, hire an intern to help focus on this issue. National Constituent Record Filing Month may not catch on. However, we owe it to our organizations to spend enough time on this topic to maintain a time-honored tradition of capturing and filing data for the sake of future fundraisers.